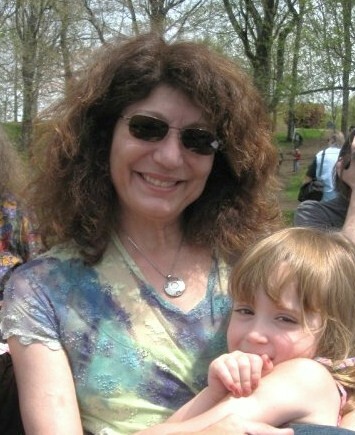 Editor’s Note: The family of Allison Krause seeks and supports the creation of the Kent State Truth Tribunal, a collaborative, multimedia, sharing event to dialog, document, discover and uncover the truth in the events leading to the killing of four students and wounding of nine at the Kent State Massacre. At our event, commencing exactly 40 years later, we invite all concerned persons, all witnesses, all concerned humans and all those damaged by the Kent State Massacre to come together to SHARE, RECOUNT and EXPLORE what really happened at the Kent State Truth Tribunal to finally uncover the truth! If you wish to join and support this event, please go to http://bit.ly/91Ez5X . The Kent State Truth Tribunal asks for your tax-deductible, charitable donations. 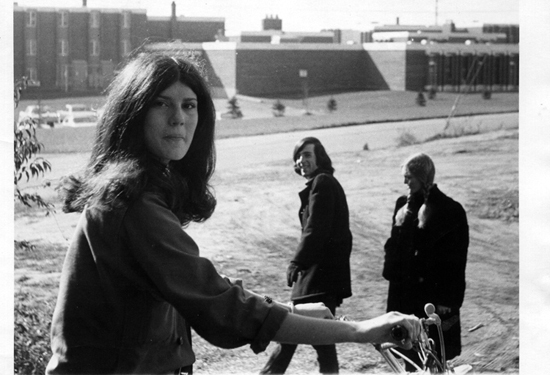 If the truth at 1970 Kent State matters to you, please give generously here. It’s not unusual for a battlefield to be declared a historic site, but it’s rare when the scene of a protest qualifies for that distinction. But what happened at Kent State University on May 4, 1970, is indeed history. Ohio officials want to recognize that by nominating 17 acres on campus to the National Register of Historic Places. The nominated site includes 17.24 acres on campus in three areas: the Commons, Blanket Hill and the Southern Terrace. That is where Ohio National Guard members, called out by then-Gov. 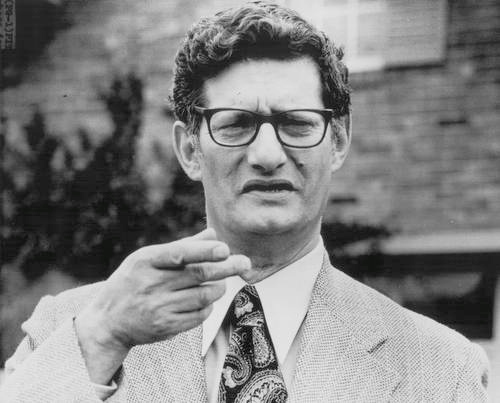 James A. Rhodes, clashed with protesters, eventually shooting into the crowd, killing four students and injuring nine others. Being named to the National Register does not obligate property owners to preserve or improve the property, nor does it prevent alteration, sale or even demolition. The final decision on nominations is made by the National Park Service program administrator. Editor’s Note: To learn more about the Kent State Truth Tribunal, go to www.TruthTribunal.org. Please lend your support to our efforts for Truth & Justice. 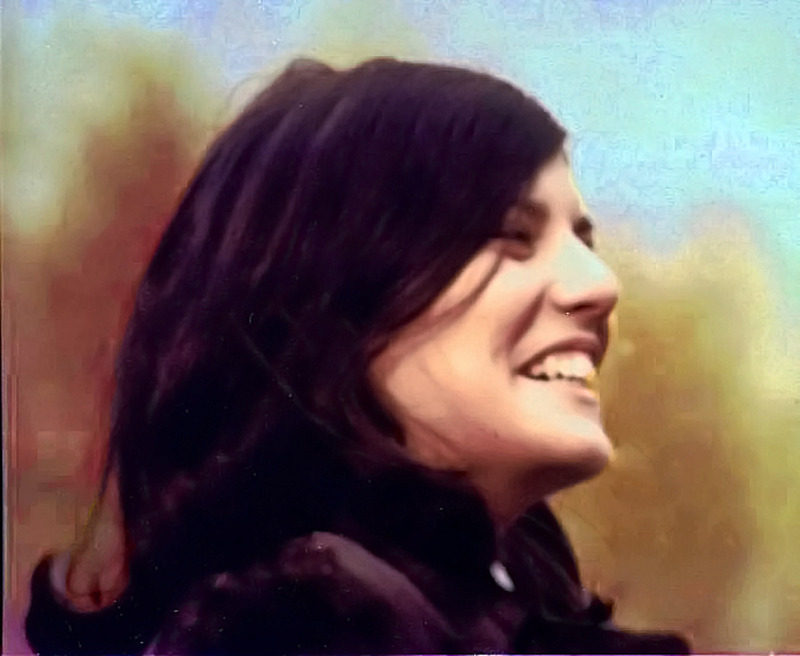 A tribute to my sister, slain 1970 Kent State University student protestor against the Vietnam War, Allison Krause. Putting the finishing touches on my face, I looked in the mirror and had a funny feeling about the day ahead. I saw a healthy, bright-eyed, intense 53 year old woman glancing back with excitement and dashes of hope and desirability in knowing a nice man had just called to ask me out on a date that afternoon. I accepted the invitation and as I dashed around my place, I realized it had been a while. It felt like today was going to be different and maybe extraordinary, perhaps even life-changing. Feeling optimistic and energized, I walked outside onto my front deck to take in the warm, late morning California sunshine and the calming beauty of my view on the rural Mendocino coast. I turned around to look at the sun and feel the winter mid-day rays shine on me. Unsure if it was real or if I imagined it, I tried to focus my over-40 eyes; it looked like the lead Mendocino County Sheriff’s Deputy marching towards me from the gate. Nearly two-dozen men followed behind like bees in a hive, some fiddling with the gate to take it off its track while others were coming through in vehicles and, most disturbingly, officers aggressively following the Deputy marching towards me. It was hard to fathom why so many officers were coming at me and Manny, my small dog that Friday noon. There I was, standing barefoot in a beautiful dress pretty with perfume, and all the grace of the day suddenly vanished. I immediately felt raw with shock. 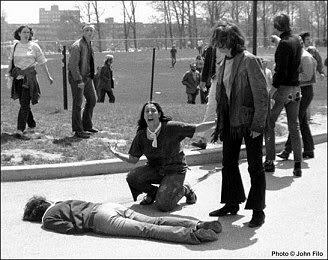 In that split-second, I was back at Kent State University in 1970 when the Ohio National Guard shot and killed my sister, Allison Krause, during the Vietnam War protests on campus. My time was up, les jeux sont faits and now they were coming for me too. As the emotions took over, I began to physically, mentally and spiritually re-feel the learning of my sister’s death at the doorsteps of our home. I broke down and couldn’t maintain control of anything in our environment, myself included. I watched the progression of events outside of myself, as a witness instead of really being there, and having this happen to my family and me. Later in life I learned that I was born into this world, the child of Arthur and Doris Krause and little sister of Allison Krause, to integrate balance into my surroundings and live in harmony. In following this life path, I have sometimes yielded to the signposts of life that pop up to offer guidance. Other times I have shielded my view of them, denied them or ignored them altogether. As I’ve aged, I have had this opportunity to come to terms with myself. I’ve learned that until health, balance or resolution is achieved and harmony is found, the signposts only get stronger, or shall I say, fiercer…and they continue to revisit until the message is finally decoded and hopefully integrated. Focusing on my breath, I buckled to the ground while painful emotions ran through me, returning me to the moment. Here I was experiencing one heck of a signpost as the sheriff’s deputy steadied me on the deck of my home and flashed the search warrant in my face to snap me back to reality – they were here because I was cultivating medical marijuana. They cuffed me and read my rights as I sobbed hysterically. While the cops searched through everything in my home, I was arrested and taken to jail. Whether I missed the date or stood him up that day, there was no doubt I blew it with my suitor. But it was nonetheless true that this Friday in late February was personally unforgettable and life changing. It wasn’t exactly the kind of day I had imagined earlier or would have even asked for, but sometimes we are simply receivers of environmental impact, having little control or power over circumstances. As we navigate through key life situations, there are choices and decisions we must make and therein lies our power: how we manage and exert our essence. The outcome of events largely depends on how we respond to the situation, hopefully by creating an opportunity for positive growth to take away from it. Arriving back home that night to my ravished land, I found doors left open, the gate was thrown off its hinge and the inside of my home strewn with debris from the enforcement teams raiding my property. It was hard to believe that my land, a place I had personally toiled on and developed these past five years, felt so negated and exposed. In the supposed safety of my beloved home, I was scared, ravaged and vulnerable. It wasn’t until the second month following my bust that I put together the pieces and realized the telltale signs of post-traumatic stress disorder. Even though the sheriff’s men didn’t pull their guns on me during the arrest, once I saw the guns in their holsters, I feared for my life. As they marched onto my property, I believed they were going to shoot and kill me, just like Allison. Back in that state of mind, I again felt the same pain I experienced losing Allison nearly forty years ago. This is how PTSD manifests. This was how I took care of myself back then, what I did at the onslaught of extreme loss on a personal and cosmic level. Cricket, one of Allison’s friends from Kent State and a therapist, suggested one late night phone call after the bust that PTSD doesn’t ever go away. She suggested that the best way to deal with the pain of PTSD was to make something good come out of the remembrance, the suffering and the pain. Recounting my bust six months hence, I continue to confuse my words. I replace the sheriff’s deputies with national guardsmen. At night in dreams I see the guardsmen marching through my gate in unison. My bust triggered the post-traumatic stress I experienced from my sister being murdered at Kent State in 1970. She was protesting against the Vietnam War, most specifically, the Cambodian Invasion along with Nixon’s verbal harassment of the protesting students, calling them ‘bums.’ My sister, Allison Beth Krause, was shot dead by the National Guard with dum-dum bullets that exploded upon impact, as she protested more than a football field away from her killers, the U.S. government. Like any fifteen-year-old, my coping mechanisms were undeveloped at best. Every evening, I remember spending hours in my bedroom practicing calligraphy to Neil Young’s ‘After the Goldrush’…artistically copying phrases of his music…smoking marijuana to calm and numb my pain. Feebly attempting to come to terms with the loss of my sister, and like so many others, the loss of feeling safe in the United States. Years later I was diagnosed with post-traumatic stress disorder as a result of what happened to Allison. Over thirty years later to help alleviate the effects of this emotional disorder, which is commonly characterized by long-lasting problems with many aspects of emotional and social functioning, I began cultivating my own medicine, marijuana. How ironic, I thought. The medicine that kept me safe from experiencing PTSD now led me to relive that horrible experience as the cops marched onto my property. There was no getting away from it. No matter how much medical marijuana I smoked, I couldn’t change the fact that my sister was killed and I had not healed from it. None of us had healed from it. Right after my bust, I could barely put a sentence together, yet after a few days back home from jail, I got really mad. As a medical marijuana caregiver/patient, I had the proper documents and made every effort to grow marijuana legally on my rural, gated property, and I ended up getting arrested. How did this happen? Two weeks later as I entered my ‘not guilty’ plea in court, I learned that the seeds of my bust were sown with nuisance complaints. Mendocino County nuisance ordinances encourage anyone who doesn’t like his or her neighbors, to send anonymous letters to the Sheriff complaining of ‘foul odors’ and road traffic. These anonymous letters are basically crafted templates to complain of fabricated nuisances…at least in my case. Taking advantage of this ordinance, hateful residents in Mendocino County found a way to make trouble for their neighbors by criminalizing them, especially the newcomers to the community. I moved to the Mendocino coast five years ago, when I purchased five acres of undeveloped land in a rural area next to an agricultural preserve. It was the first and only property my real estate agent showed me in 2004, and there was no doubt this magical spot called me. When I arrived, it felt as if I was summoned, and now it’s clear that Allison and Dad were those pulling forces. I remember parking my car at the end of the dirt driveway and looking out, enchanted by the view and turning to ask my friend, “Is that the ocean?” I knew it was. I saw this awesome, remote landscape before me and was captivated by the beautiful ecosystem of life. The rolling meadows extending miles to the sea with hawks soaring above the fields, searching for prey. Mice sheltering in the grasses that feed the cows continually grazing as they wander their weekly path across vast acreage that I observe each day, intending to minimize my impact. My neighbors however, did not share my enthusiasm for my active life here, and they quickly judged me as a ‘city slicker.’ I had somehow missed their angry sentiments when I decided to make my move to the coast. But the fact remained that I had already sunk everything I had into creating this fantasy-come-true and with the the bust, I was thrown down an even deeper financial hole. My dream was crashing in on me. After my bust, sporadic harassment continued as neighbors pulled pranks, engaged in petty vandalism and pursued other childish haunting tricks. As I watched with dread, I felt exposed, off-balanced…almost shameful. Then I remembered the Kent State hate mail my family received for over a decade after Allison was killed. While there were many very supportive, loving people and notes that came forward, the hatefulness of those scribbled letters had tremendous resonance. Over time, I learned that the letter writers’ issues and angst sent our way (and now at me again) had very little to do with us. I now see it as a manifestation related to duality, polarization and prejudice…us v. them, conservative v. progressive, rich v. poor, powerful v. downtrodden. The days following my bust crept by; I burrowed in and rarely left my land. In an effort to heal, I opened myself up and dug deep into my essence, asking for divine guidance. That Spring, I often created rituals at my firepit, beckoning for direction and instruction. I was asking to hear how I could be of best service to all. That was when I heard Allison and my Dad come forward. They wanted me to get active…to do something important for them. As I recovered, I noticed that I was decoding the signposts in my life easier and quicker than usual, with increased clarity. I realized the persecution I was living through was similar to what many Americans and global citizens experience daily. This harassment even had parallels to Allison’s experience before she was murdered at Kent State almost forty years ago. I began to see the interconnectedness of these events. Full circle, I saw how the enduring effects of Kent State continue impacting today through powerful reverberations Unresolved energy and extreme disharmony of this magnitude continued to reappear, rerunning on similar themes from the past, becoming stronger and continuing to add more insult to injury until we make things right. It became clear that this is true on a personal level as well as in collective consciousness. The universe had already begun to push me towards searching for the truth with the signposts and alarming events. I started to understand this wasn’t something I could simply run away from. At a very deep level, there was unfinished business surrounding cause and effect of certain events in my life and I was encouraged to take a hard look at it. One fateful day in early April, the telephone rang. My friend Alan Canfora, a wounded student in the Kent State Massacre, called to invite me to speak at Kent State University’s 39th memorial event. Normally I don’t relish public speaking, yet I quickly accepted. So I began tailoring a speech for the Kent State memorial with Delaney Brown, a young activist living in the area. Through the process of writing Speaking Your Truth, we were compelled to learn more about the recently re-discovered audio tape that recorded the Kent State protest on May 4th, 1970. On that day, a student placed a microphone outside his dorm room window to record the protests on campus. A copy of a copy (at 4th or 5th generation), hidden away and unearthed from the Yale Library only two years ago in 2007, the original audio tape has never been studied, forensically examined or explored. Listen to tape here. Those among the community directly involved in the Kent State Massacre, agree this audio tape holds the key to unlocking the truth at Kent State. This new information or ‘truth’ is critically important as it contains documented evidence of a recorded ‘Order to Shoot’ that has been continually denied. With the discovery and proof of an order to shoot, we finally document the intent to kill and ultimately reveal the truth about what occurred. This is the truth that was so long ago suppressed and denied as guardsman and government officials continually perjured their testimonies to support their cover-up. The contents of this audio tape shall play a dramatic role in the history of the Kent State Massacre as well as our own individual, national and global perceptions of the event. I realized I had to focus my energy on that tape and become involved in isolating the ‘Order to Shoot’ given by the Ohio National Guard, to finally learn the truth about Kent State. As the Strubbe tape had never been explored or analyzed, I wanted to help make that happen and follow it down.